Chris Christie is the man of the hour right now. 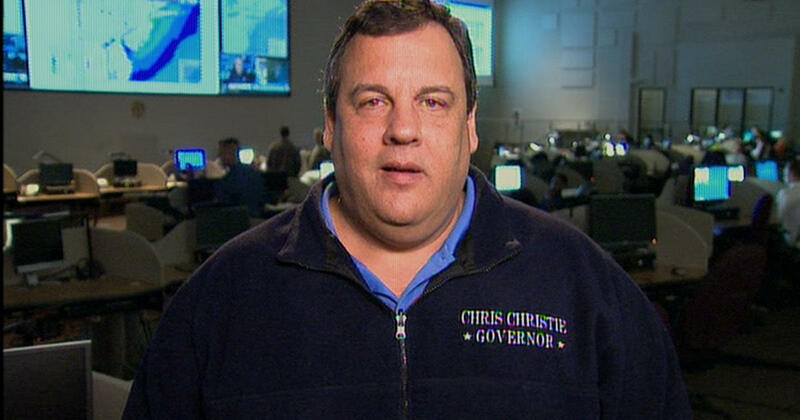 The governor of New Jersey is doing all that he can to tell the public just how devastating this storm really is. It’s “unthinkable” damage on the Jersey Shore he said his morning. All of our hearts are with him and, though Christie is a Republican, he has been incredible about not turning this into a political event. In fact, Christie has had nothing but praise for President Barack Obama and his handling of FEMA and the crisis in general. Early Tuesday morning, as some of the waters had receded and the damage was being assessed, Christie thanked Obama, calling his response “wonderful,” “excellent” and “outstanding.” Quite the turnaround from last week when he was saying how awful Obama was. I have no idea, nor am I the least bit concerned or interested. I have a job to do in New Jersey that is much bigger than presidential politics. If you think right now I give a damn about president politics, then you don’t know me. Whoa. Good for him. And while, others, including Atlantic City mayor Lorenzo Langford, are accusing Christie of using the storm as an opportunity to blast his political opponents (the two got into words over the evacuation in Atlantic City), the fact is, Christie has one concern: the people of New Jersey. Personally, as someone who is in the process of moving to a suburb of New York City in New Jersey, I feel glad to have a governor who puts politics aside. This is not a time for campaigns. It is not a time for talking about who will win next Tuesday (though rest assured I am terrified that climate change has not been a major topic of conversation). This is a time to come together, across the aisle and be grateful. Christie is doing the right thing here. He loves his state and that is obvious. Whatever I think of him politically, today I am impressed with him for that. Do you think Obama will win thanks to Sandy?